Gardeners around the country are in shock as their impatiens, the workhorses of the summer garden, suddenly go downhill. The plants’ leaves curl, turn yellow and stippled, their flowers fall off, and they are engulfed in white fuzz before they eventually die. 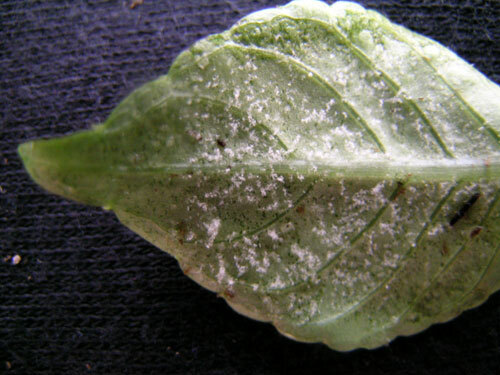 The cause is a relentless form of downy mildew caused by Plasmopara obducens, a pathogen whose outbreaks were first reported last year in the United States and also in Hungary. It is showing up in both flower beds and container plantings. All types of the common Impatiens walleriana are at risk, though New Guinea impatiens seem to tolerate the germ. The disease spreads by water droplets and also through the air. The Ball Horticultural Co. has more information on the disease, as well as advice for controlling and culling it among plants, here.